If beans are no longer your friend, you can try this yummy alternative to the garbanzo bean hummus we all love. Place all the ingredients into a blender, and blend until smooth and creamy! 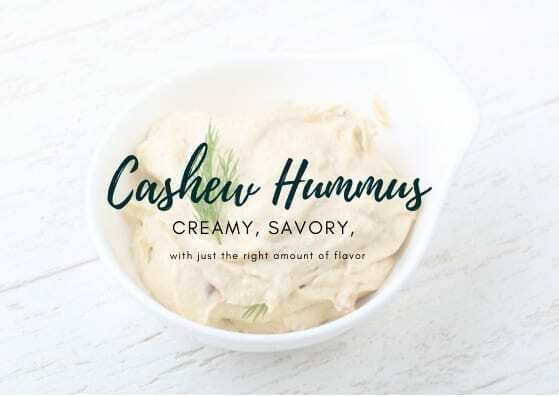 To make the hummus creamier you can soak the cashews for a few hours in warm water. To make a roasted red pepper version you can add 1-2 large roasted red peppers. If you are interested in learning more about how nutrition can help you, click here to schedule an appointment or meet and greet with our nutrition therapist.